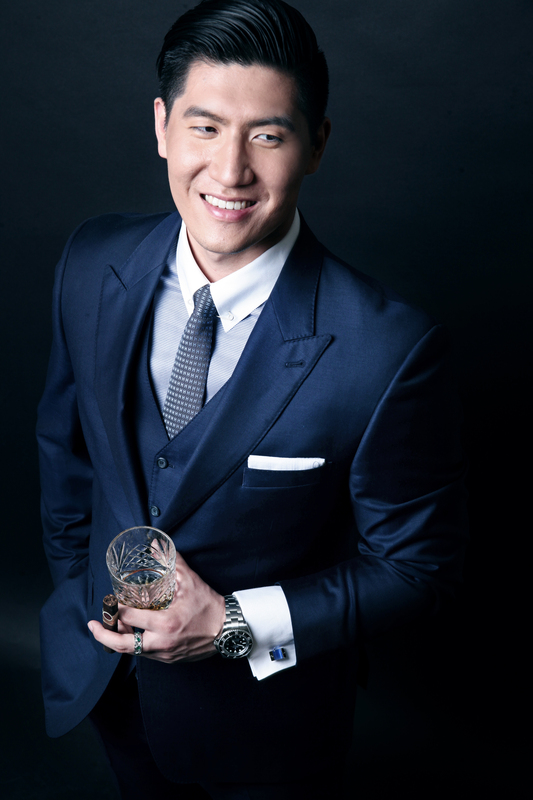 With a moniker like “The Prince of Luxury,” it’s clear that Noel Shu is no ordinary entrepreneur. This 27-year-old self-made millionaire has accomplished more in business than many do in an entire lifetime, already boasting a client roster that includes billionaires, celebrities and royal families. So keen is his business acumen and venerable his reputation, Shu’s clout earned him a VIP invitation to the last U.S. visit of China’s president, Xi Jinping, alongside other revered titans of industry the likes of Bill Gates and Jack Ma. Today, Shu brings his wealth of expertise and impeccable panache to the global luxury goods market where he spearheads ultra-super-premium products such as the finest champagne, wine and spirits as well as extraordinary multi-million dollar jewelry and timepieces of unparalleled quality—all targeted to discerning consumers on both sides of the Pacific, including China’s elite, who demand the absolute best in taste and quality. Aside from having served as a managing partner at the extolled beverage agency Prodiguer Brands (perhaps best known for selling the most expensive single bottle of Champagne in the world, Goût de Diamants, for a staggering $1.8 million), Shu’s own company, Un Joyau Majestueux, recently launched its own new wine brand, Majestic Ruby. This exciting new expression made its world debut at the 2017 Oscars Celebrity Luxury Lounge at the Beverly Hilton Hotel Penthouse where it was reportedly celebrated by an array of Hollywood A-listers. Further demonstrating his prowess in the world of fine wine, Shu is also a lauded sommelier and one of the world’s leading experts on Chinese wine culture. In fact, he authored the book, “China Through a Glass of Wine,” which offers a fascinating examination of China’s burgeoning wine industry from an insider’s perspective. From China’s rich cultural history to its political climate, this title takes readers on a captivating journey through the country’s viticulture victories and hopes for the future. Another of Shu’s latest ventures is a film production company, 1768 Entertainment, which brings Shu’s love of luxury to the entertainment industry in the form of compelling documentaries, stories inspired by real events and suspense tales with an Asian influence. Below is some enlightening Q&A with this millennial mastermind through which he offers insider perspectives and lifestyle advice of note for those who like to roll like royalty (or want to look like they do). For the high end market, there are often many different brands of similar products and services vying for attention. What are some effective ways luxury consumers can stay abreast of the newest, highest quality products and services? This can actually be the done the good ol’ fashioned way and that’s simply to read a lot. Everything that you can possibly be looking for, think you might be looking for or not even know you’re looking for is on the Internet. Every day when I wake up, I spend a good 30 minutes and go through literally everything while I’m drinking my coffee—from international news to gossip to anything I can find that’s different from what I read before. People are out there doing everything they can to appease the people. You are a member of a network called, “The Billionaires Club.” What are some of the luxury brands you and your inner circle are paying attention to and what draws these brands apart? I would say these days quite a few people have moved away from just so called “big purchases.” Everything is now more about personal touches. For instance, many people own a Rolex, Audemars Piguet or Hublot. More often than not, some of these are one out of however many but how many people really have something that’s one of kind? Not too many. The other point is that the watch may suit you but it doesn’t reflect your own personality, likes and dislikes. So what’s actually becoming quite popular is engraving one’s watches. I’ve seen some crazy designs that really add some character to a person’s wrist such as koi fish, skull heads and zodiac signs. So back to the main question and one particular brand that has stood out is Golden Concept. Again, it’s all about personal touches these days and being unique. Golden Concept specializes in luxury cases for your phone. They have gold, snakeskin and gator cases just to name a few. All done to the highest of quality and many are customizable. So if you’re looking to stand out, make sure to check them out. Another brand which has seen quite a bit of press and accolades is JetSmarter, one of the more successful private aviation companies. For many entrepreneurs, meetings take place in different cities, different continents and in different time zones. JetSmarter offers these services in an easy-to-maneuver application that makes flying private relatively affordable and easy. What are the top three luxury items or brands that have captivated your own attention right now? Right now there are three top brands that are top-of-mind for me right now. These are Emperada Cigar Humidor by Imperiali Geneve; Astonomia Tourbillion by Jacob & Co; and Bentley EXP 10 Speed 6 Concept car. Not everyone can afford luxury brands. What would you suggest for those who have the desire to appear high end but not necessarily the means? There’s actually been a lot of hype surrounding brands that cater specifically to people who enjoy the “finer things” but are limited by what’s in their wallet. Many bloggers, for instance, are always writing about the newest gadget, accessory or clothing. I would recommend finding a few that fit your style and follow them on Instagram to see what it is that they’re rocking on a day to day basis. Many people have to understand that your average blogger is there to inform the public on some of the newest fashion do’s and don’ts, and these are all done with new brands or affordable pre-existing brands. Second, which I have seen quite a bit, is on Kickstarter or similar sites that are always offering “perks” for those who invest early in their brands. Without naming names, a few brands offered a discounted handmade Italian leather, skeleton movement watches for a fraction of the cost to the first “so many” number of investors. Just keep in mind for everything high-end there is always a cheaper counterpart. Don’t worry just about name brand or high end. All that matters is that it looks good and makes you feel great. For those who focus on products that are affordable luxury, who are some of the brands doing the best and what are the keys to success? One of the biggest and most successful brands that I have seen that caters more towards the everyday luxury is Tory Burch. Although TB is for women, I have on many occasions bought it for family, friends and clients so I can safely say I have quite a bit of exposure to this brand and can thus speak with some confidence. Obviously, price point for TB is well within the means of many. Besides that, what is it that has led TB to such success? I would say three main factors: relatability, professionalism and seamlessness. Relatability in that walking through the concrete jungle that is New York, TB products have always caught my eye in their simplicity but also how stylish it is, whether on a working woman running into Starbucks or that beautiful lady going to brunch. Second, professionalism – although many brands always stress the attentiveness of the staff, it pales in comparison to TB. People have to understand that often times upper tier luxury items are for a certain group and employees are naturally prejudiced to people who they perceive not to be at that level. There have been times where I would walk into a Rolex store unattended for 15 minutes and the instant my AP peaks out from under my shirt, someone is there to help. This just doesn’t happen at TB and for that I am quite appreciative. Seamlessness in TB’s product, in that it offers just the right amount “je ne sais quoi.” Most of their products can be matched with a variety of other brands. This has all led to the tremendous success that TB has experienced over these past few years. What are the top three factors that truly set an ultra-premium wine, champagne or spirit brand apart from less costly luxury beverage counterparts, wine and otherwise? Marketing wine for the luxury market is a really tough job to do. Quite frankly it’s because you’re trying to appease a group of people who have seen it all. People always say when you do something for long enough, whether you want to or not you will become a bit of a connoisseur. That’s especially true for those in the wine industry. Most are well educated, well informed and have a true passion towards exploring the finer points of what’s in a wine bottle. If we were to say that all wines in the luxury market were of the same caliber, there would still be so many factors in play, the first being accessibility and quantity. Many luxury wines are such because there is a limited supply. You can’t expect a brand to sell at the same price point when there are only 10,000 bottles as compared to 100,000 bottles. However, although there are still 10,000 bottles that were produced, that doesn’t mean your everyday Joe would be able to get his hands on them even if he’s willing to dish out the necessary cash. Thus, there’s another added premium to an already sky high price. Another example is time and care. For those who are only there to turn a quick profit, the longer time they spend on making a wine, the more money that needs to be invested. That in itself increases cost and decreases profit. This is why sometimes you have wineries that will actually keep the wine in their cellars for years after bottling to ensure that the wine has at least matured to a passable level. By care, I mean winemakers are very passionate about their craft and thus hate having their name associated with sub-par wine. Thus, you have some years where there is little to no wine produced by a certain grower because only a small amount of the grapes harvested passed the standard or none at all. Never one to rest on his laurels and even amid a diversity of endeavors, Shu continues to raise the bar for himself professionally and personally. Whether it be as an active investor looking for the latest innovation in the luxury and tech space or, despite his jam-packed schedule, his current pursuit of an Ivy League Master’s degree at Columbia University. Clearly this good life connoisseur turned luxe market mogul will continue making an impact on the numerous high-end industries for many years to come.